Hi everyone, the first Santa's House is finished of the Country Cottage Needleworks Santa's Village, however, I am not happy with it, my first reason, I don't like the fabric and the second reason, I stitched it too close to the edge, only one thing for it, I have to change the fabric and start again! Aggghhh! You know when you are simply just not happy with something and you know that feeling will just not go away until you do something about it? It is my own fault, I know I do not like stitching on this particular lambswool linen (Permin) but I thought I would follow what the pattern suggested, anyway, I changed my mind and ordered my favourite stitching fabric, 32 count Murano linen, it is a pale grey and I simply love using this stuff! It arrived today, so hopefully I should be starting again this evening. If I had seen the post on the Country Cottage Needlework blog here first I may not have made the mistake with the size of the material, I basically tried to guess and did not realise that the houses were stitched very close to each other. This is a close up photo of the Pale Grey Murano Linen, I love the evenweave of this fabric, all very neat! Getting ready to measure and away I go! Hope to have some stitching done on this very soon! Until next time Happy Stitching! Hi everyone, here is my progress on Santas Village, this is the first of 12 matching cross stitch designs by Country Cottage Needleworks, there are 12 patterns to stitch, one each month until December 2013. I purchased the Auto ship from The Patchwork Rabbit , you pay for each pattern when it is shipped every month, you can order the matching threads and the buttons or just buy the patterns, its your choice. If you order from there just let them know I sent you, I am not an affiliate for their shop but like to support where I can. You can choose to stitch all the twelve patterns on one piece of fabric, as I have, or stitch them individually. I have a couple of free Valentine Patterns that are not quite ready yet, I was hoping to do them today but did not have chance. I am off to do some more stitching on Santa's Village. My 2012 cross stitch finishes and a cross stitch Biscornu finish. 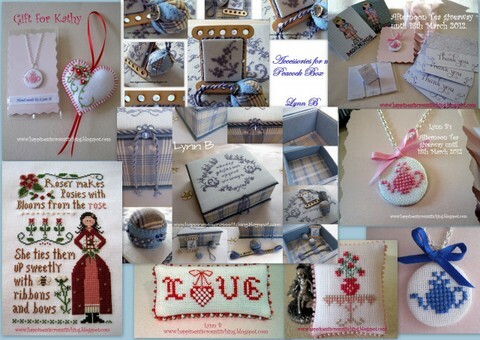 Hi everyone, here are my cross stitch and stitchery finishes for 2012. I did not get much finishing done on the stitcheries, I cannot get easy access to my sewing machine as it is under a pile of stuff in my craft room. I am hoping to get my craft room fitted out this year. I had a plan to get this done by the end of February and get it all organised but it is not looking good at the moment. My craft room is so untidy, I have nowhere to put things away, it really drives me nuts having stuff all over the place.! At least I will be getting a new sewing table to house my sewing machine, it will be so nice to have a permanent place for it after all these years. What plans have I got for my blog in 2013? 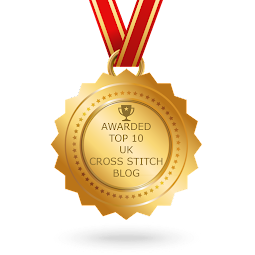 Well, one of my new ventures will be guest blogging, I have asked a couple of well known stitchers from the stitching world to do a guest post on my blog and I am delighted that they have said yes. 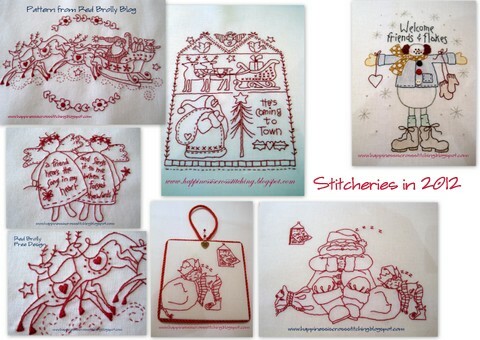 One of my guests is a cross stitch blogger who is well known in the Cross Stitch Blog community and is a wonderful stitcher and creator, I am not going to tell you who it is, you will have to wait and see! My other guest is also a well known crafter who designs her own patterns and creates some wonderful things too - I am looking forward to planning these over the next few months. Giveaways is another item on the agenda, I did not get around to doing as much as I would have liked last year but I have one or two nice ideas for giveaways that I am sure you will love. Some of you will know I love making small polymer clay items to add to my giveaways, I have got some ideas to include in my next giveaway, just keep a look out for those. 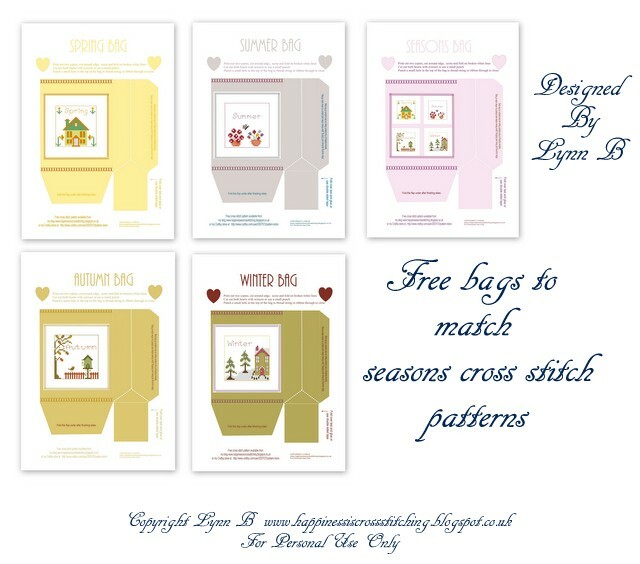 I will also be designing more free cross stitch patterns, I have one or two small Valentine cross stitch designs that will be published soon. I made this Biscornu for The World Of Cross Stitching, it was published in their special subscribers edition and I forgot to show it on my blog, I have the cross stitch design somewhere in my computer, when I find it I will publish it on my blog for you to have access to it. Close up of the beading. You can see a tutorial for making a Biscornu on my tutorials blog here . Welcome to all of my new followers and regular readers! Happy stitching until next time. 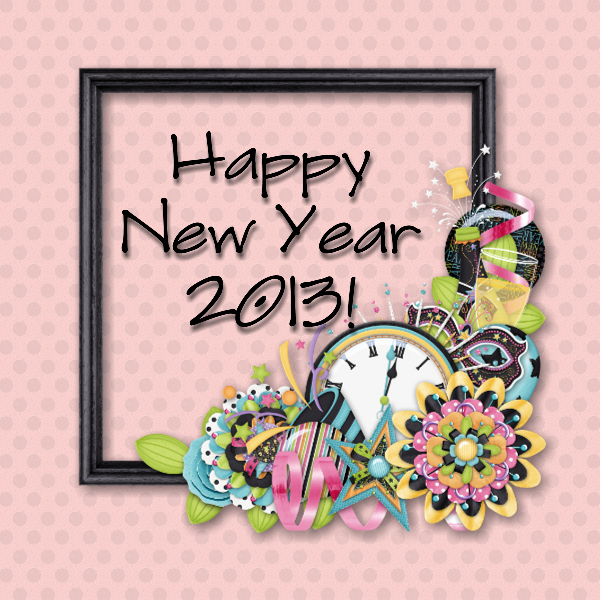 Happy New Year, progress on cross stitching and digital scrapbooking. Hi everyone, Happy New Year to you all! 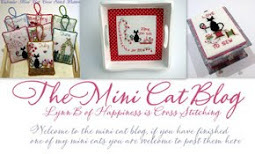 Apologies for the delay, I have been too busy to update my blog, but I have been doing some stitching. 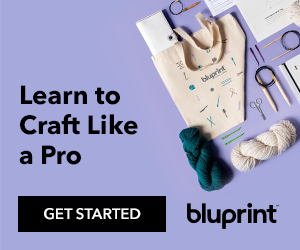 In this post I am going to show you my recent cross stitching project and my digital software that I have been using to edit my photos, create scrapbook pages, blog headers and buttons for my blog. I am hoping to put some tutorials together over the next few months to show what you can do with this great software. This cross stitch is my new Home Sweet Home Pattern that I designed, I always like to stitch my own designs to see how they look on fabric, this is my progress so far, I have not attached the beads to the centre of each flower yet but hopefully I should finish this in the next few days. I have designed this pattern in a pale blue and green and also a red and green, I thought it looked very Christmasy in the red and green palette,- see pictures below. 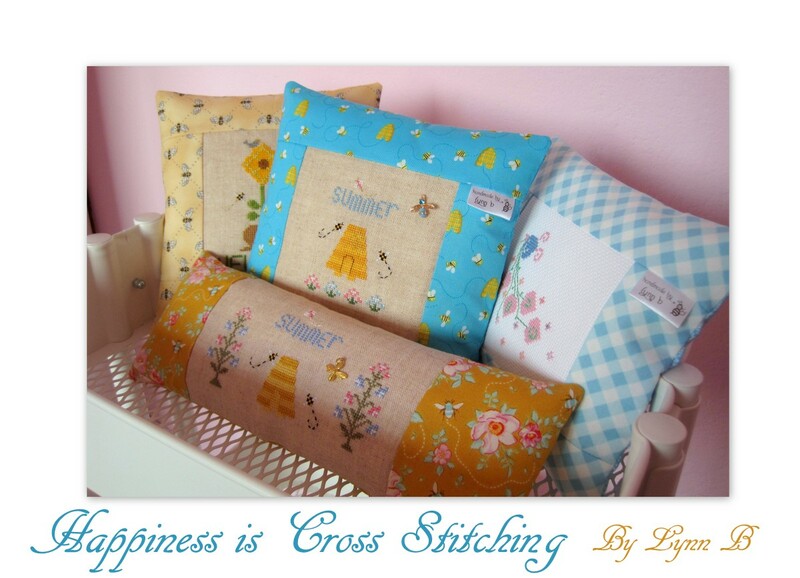 The pattern is available in my shop or you can always email me if you have any queries. My 2012 cross stitch finishes. I am hoping to put together a photo collage of my 2012 cross stitch and stitchery finishes over the next few weeks, I did not do as much stitching as I would have liked in 2012 but I am looking forward to catching up this year! Happy New Year picture (top of this post). 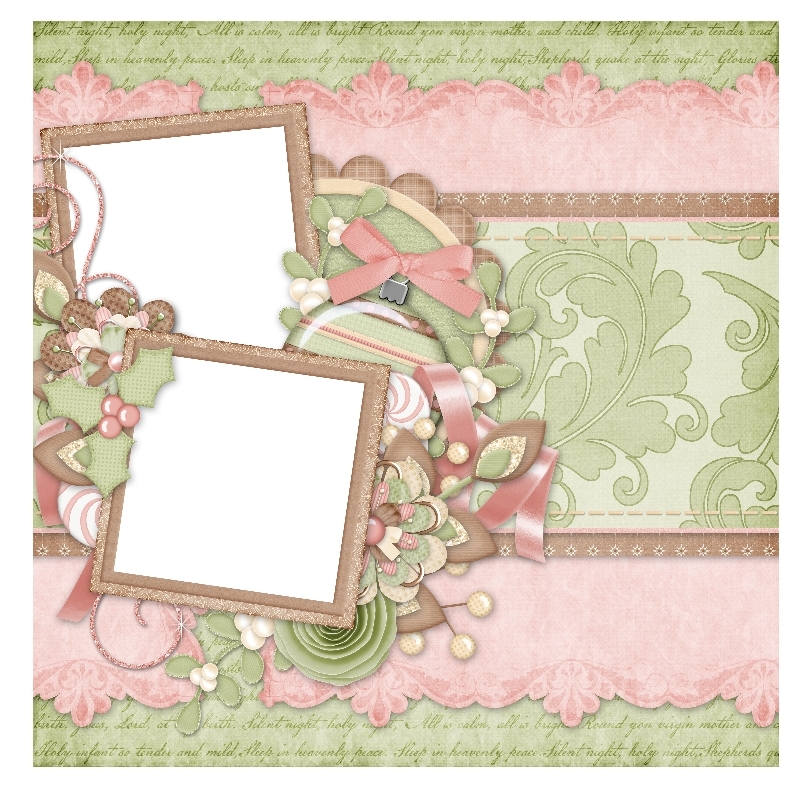 I have been playing around with a scrapbook software called My Memories Digital Scrapbooking, I just love it! You can use it for making blog headers, blog buttons and scrapbooking, I am going to certainly be using it for my blog photos in the future. You can edit all of your photos with this digital scrapbooking software and make lovely scrapbook pages, phootobooks, calenders, greeting cards, DVD with sound and video, school reports etc. I have posted a couple of sample scrapbook pages below to give you an idea what you can do with it, there is also a link to a couple of My Memory Suite videos to give you more info. This photo page is already designed, all you have to do is upload the pictures in the My Memories Software and insert them into your album, its really easy, well it must be if I can do it! This page is part of a Christmas Kit that I purchased from My Memories, it includes all of the elements and lots of different pages to play with, you can put individual elements on blank pages to design your own or use their quick pages like this one. These photos were taken in about 2010, it was -10 degrees and I was absolutely freezing, hence my face being covered. I wore over trousers, a fleece under my jacket and a cardigan and I was still cold! It is not usually that cold where I live, (in the UK) but it was that year! Here is another sample page, I did not include a photo just so that you can see the blank page as it is, I did not do anything with this page, I just uploaded it. So pretty don't you think? The designer is Katie at Just So Scrappy, you can see the Noel Kit here when you are on the page just click on each picture to see the detail. You can design your own digital albums then send them away (via the internet) to be printed into a lovely photo album and delivered back to your door, I can't wait to build my first album using this software. Check out the videos below to see what you can do with My Memories, the first one gives a quick overview in 2 minutes and the second one is 10 minutes in length to give you more detail about My Memories Suite software. If you use this code to purchase My Memories Digital software you will get $10 off the software and a $10 coupon to spend in the store, just add this code to the promotion offer box in the add to cart on the My Memories Software page. Until next time Happy Stitching and photo editing!